Market uncertainty is rising and investor conviction is fading. The closer we get to August, the less conviction we will see from investors. The negative headline flow is going to be increasing as the calendar works against the president and his tariff proposals. These fights must be resolved in early September to avoid a disaster in the midterm elections. That means the trade wars will be fought in the headlines in August. Since Aug/Sep are normally the two weakest months of the year, that is an added incentive to move to the sidelines while the trade battle rages. Today there is the promise of a strong earnings cycle to keep investors involved but we are not seeing it lift the market. Every minor bounce is sold. This lack of an earnings rally is troubling and could be a warning signal. In less than two weeks, more than 80% of the S&P will have reported earnings. The lure of an earnings rally will be over and investors will be left staring at the political headlines rather than earnings headlines from their favorite stocks. Alphabet (GOOGL) reported strong earnings after the close and the stock gained $40 in afterhours. The Nasdaq futures rallied about 30 points. This could power the market higher on Tuesday but it remains to be seen if it is enough to trigger any short covering and lift us out of our consolidation pattern. Wednesday and Thursday are the heavy days this week with Facebook after the bell on Wednesday and Amazon and Intel after the bell on Thursday. Big cap tech stocks led the rally to this point. Once those stocks report they tend to become victims of post earnings depression and that will weigh on the market next week. The end of the earnings excitement typically comes with Apple's earnings, which is August 2nd this year. There is a Fed rate decision on August 1st so those two days could be critical to market direction. 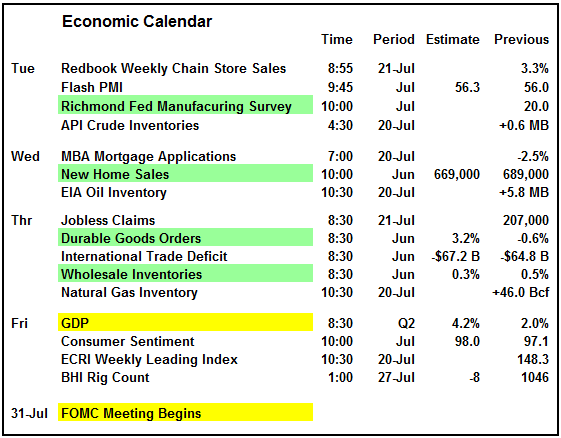 The economic highlight this week is the Q2 GDP on Friday. It is expected to be over 4% and that is going to create a lot of positive headlines. Whether it will lift the market for more than a short time remains to be seen. It could give the Fed another reason to continue raising rates. 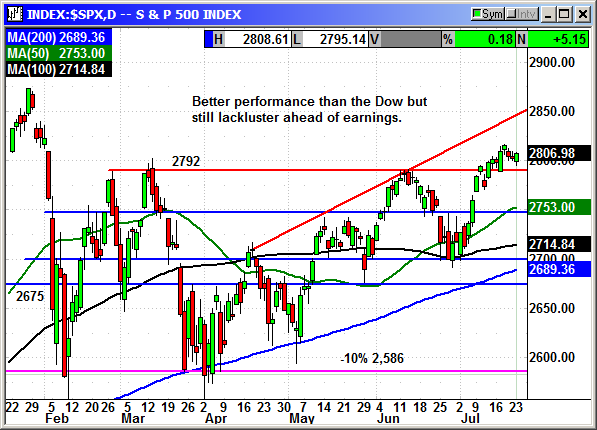 The S&P managed to rebound from the opening dip and post a minor gain. It was far from exciting and did very little to excite the broader market. The index has been able to hold over 2,800 and that is a plus. The Dow traded in a narrow 98-point range and closed almost right in the center. The A/D line was almost perfectly flat with only one decliner more than advancers on the Dow. 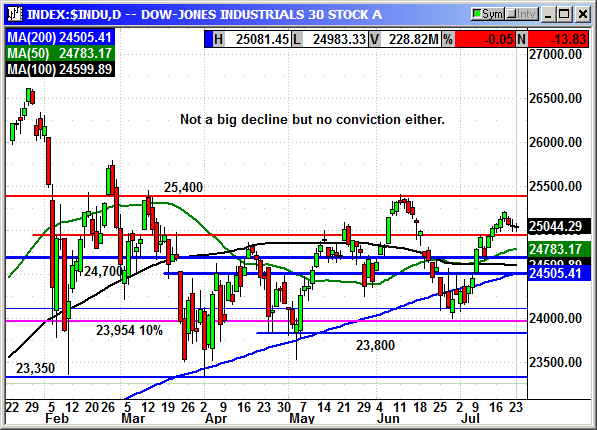 The resistance at 25,400 has not been tested since early June where it failed on six consecutive days. That is going to be a significant hurdle. 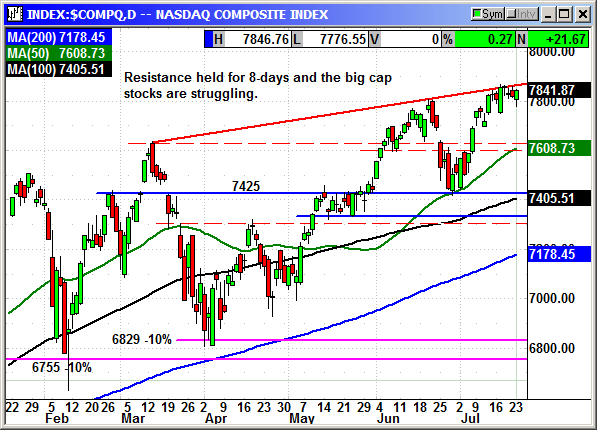 The Nasdaq has come to a dead stop at uptrend resistance at 7,850. The Google earnings could be the spark needed to power through that level but it remains to be seen if it can hold the gains. We have seen some earnings disappointments in some tech reports. While, I do not expect any of the bellwethers to disappoint, we can never be sure they will not. Netflix is an example of this problem. 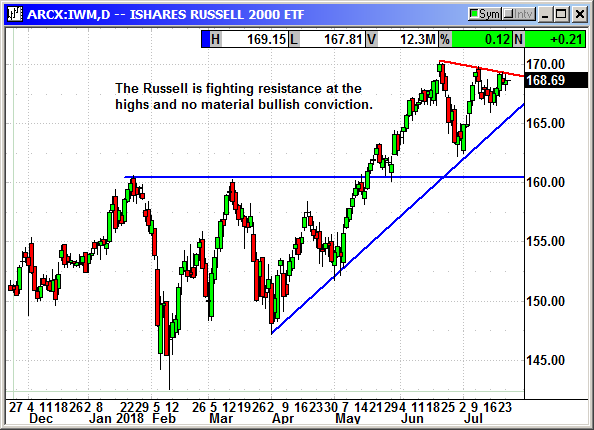 The Russell is also struggling with some short term, new high, resistance. With tariffs coming back into focus, the small cap stocks should be doing well but they are only holding the recent highs and not advancing. I am recommending caution over the next couple of weeks. 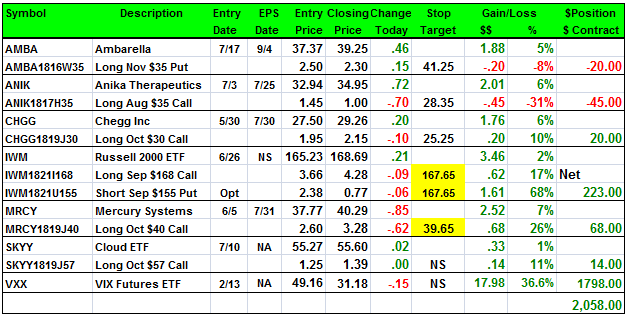 If earnings surprise to the upside and the market rallies into August, I will be very pleased. However, if the market rolls over around Apple's earnings date, I will not be surprised. 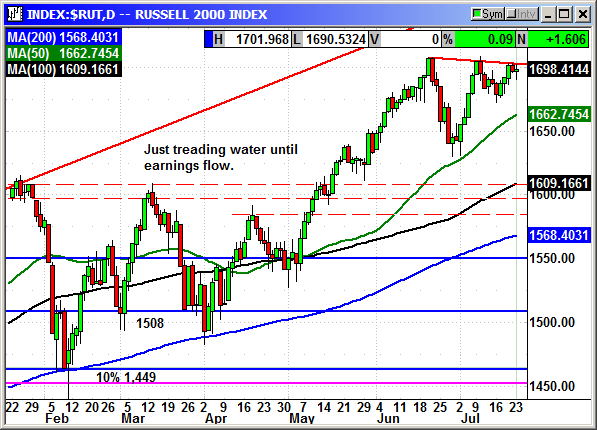 Next week I will tighten our stops even further and probably add some puts on indexes. 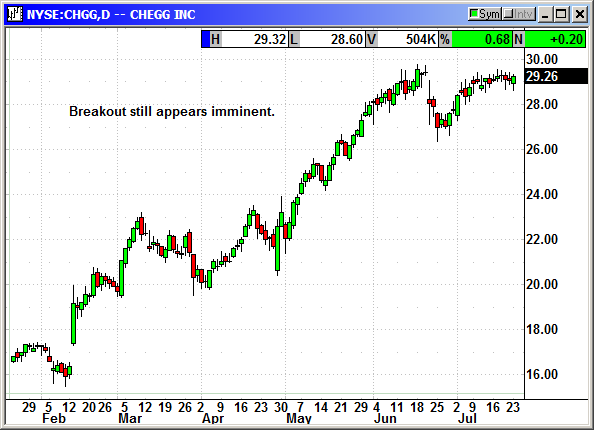 Be patient, market declines produce buying opportunities. No new play this week. I went through my entire list of nearly 800 tradable stocks and there was nothing worth taking a risk in this market. There were a lot of good stocks but 65% of the S&P report earnings this week or next. 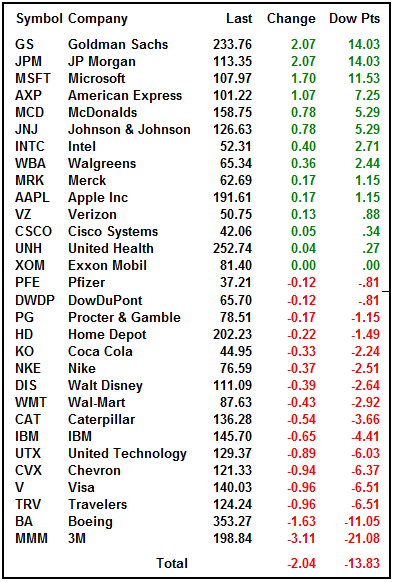 Nearly every one of the stocks with decent charts were about to announce earnings and that takes them out of contention. There is a lot of uncertainty in the market. We could easily roll over as the calendar turns to August because the geopolitical events are going to heat up and the market is not going to react well. I even considered puts on the SPY to hold through August but we might have one more week of positive gains and I would rather enter at a higher level. Be patient, there is always another day to trade. No specific news. 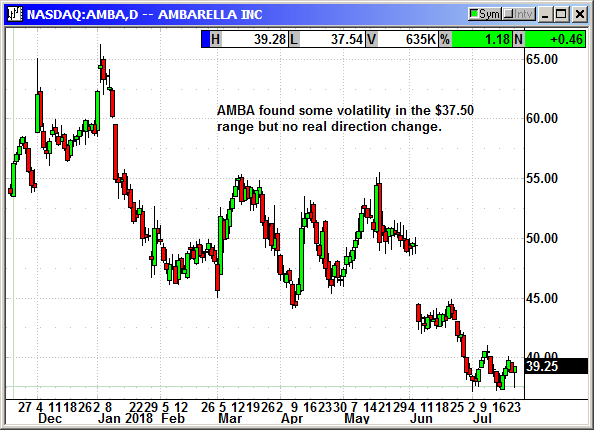 Shares are chopping around in the $37.50-$39 range while they decide which direction to travel. No specific news. Shares flattened at $35. Earnings are July 25th. Expectations should be low. We are going to hold over. 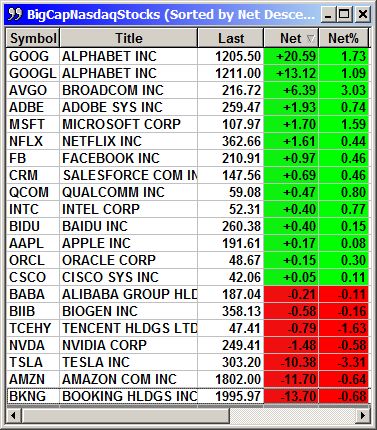 Long Aug $35 Call @ $1.45, see portfolio graphic for stop loss. No specific news. Shares holding just under new highs. 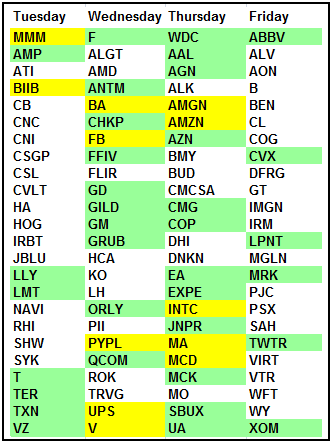 Earnings July 30th. Update 7/9: Chegg acquired StudyBlue for $20.8 million in an all cash transaction. There will be no change to 2018 earnings but they will take a $1 charge in 2019 for facility consolidation. The acquisition will add a significant number of subjects to their existing offerings. The new offerings will include online flash cards. In 2016 29% of students used online flashcards. That roies to 37% in 2017 and continues to rise. Fifty percent of students claimed that was their only method of study. The bullish conviction is slowly evaporating. It is possible some strong earnings over the next couple of days could reflate it but the approaching tariff headlines and the normally weak August period are starting to be a serious headwind. 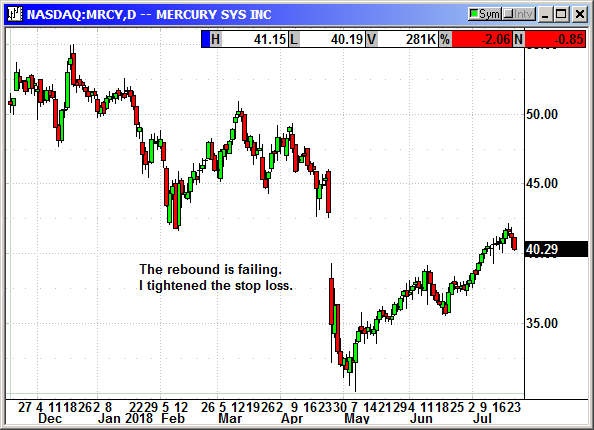 I tightened the stop to just below today's lows. No specific news. Shares rolled over from the 3-month high. 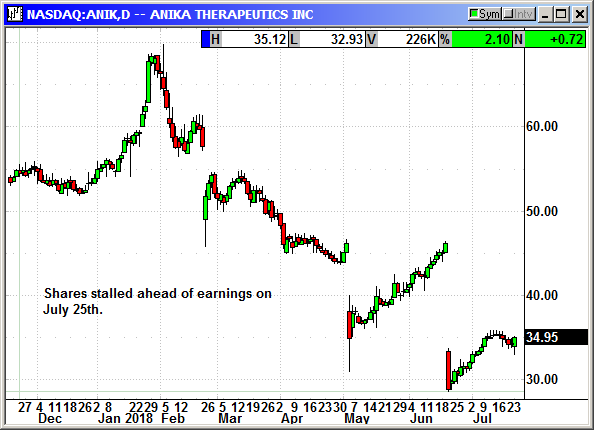 The uneasiness in the market is causing profit taking in recent gainers. No specific news. 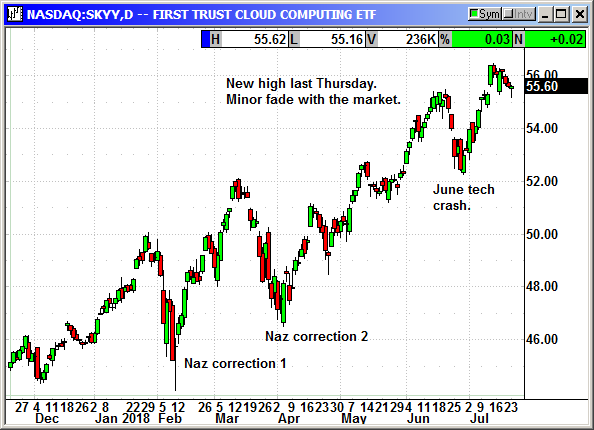 New closing high the prior Thursday. Fading slightly with the market. 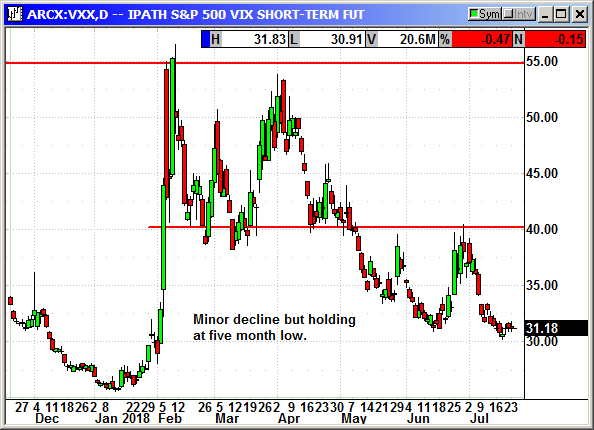 The VXX posted a minor decline and is holding at five-month lows.